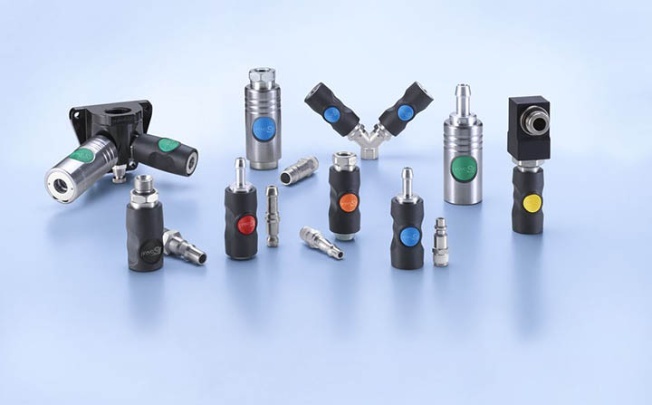 Since its inception in 1978, Prevost has been providing its customers with a complete range of reliable and complementary products designed for compressed air networks and fluid distribution systems. Innovation and quality are two essential drivers of Prevost’s growth, enabling the company to adapt to market changes and meet the expectations of its customers. Prevost regularly releases new, state-of-the-art products that are thoroughly tested and inspected to ensure their conformity with the latest standards. Prevost’s dynamic and responsive organisation guarantees top service, quick delivery and consistent technical and sales support. Prevost is committed to providing products and services of the highest quality and reliability under the best conditions. Prevost offers a wide variety of training in understanding and using compressed air. These courses are aimed at professionals who wish to make energy efficiency part of their production or marketing strategy. A number of courses can be held in our specially dedicated and equipped training room or at your premises. > Prevost’s sales department employs qualified sales engineers, experienced in fluid technologies. Each sales engineer covers a particular region and works with a network of professional distributors. Our in-house technical and sales advisors assist you with the purchasing process and answer your technical, administrative and commercial questions. Our training department holds regular sessions for customers, sales engineers and assistants to explain the technologies and products marketed by Prevost. The entire logistics process is managed in real time via mobile terminals connected wirelessly to the central management system, ensuring perfect stock control. > Our marketing team monitors market trends and adapts the company’s solutions to our customers’ expectations: Creation of multilingual commercial documentation; Organisation of national and international trade fairs; Creation and maintenance of our web site www.prevost.eu; Online and print advertising; Development of product packaging and point of sale displays.